How will WWE Surprise us during the Superstar Shake Up? The International Superstar Shake-Up starts tonight on RAW and will continue tomorrow night on WWE SmackDown Live. The Shake-Up could see big shifts on the landscapes of RAW and SmackDown with big names moving to either side. Then there is also the question of where the NXT stars called up will go. In this article, let's focus on some established main-roster Superstars and take a look at who should move to RAW and who should move the other way. RAW's tag-team division is not even an afterthought right now, it's just a downright weak division. You could argue, and probably successfully so, that NXT's tag-team division is stronger than RAW's right now. What can WWE do to rectify this? 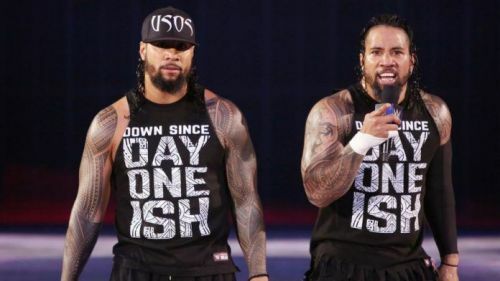 The obvious first step would be to bring The Usos, who are in my opinion the best tag-team in the world right now, to RAW. The 8-time tag champions have more pedigree than most of the RAW tag division put together and could be the team RAW builds the tag division around. We all know about The Revival's qualms with WWE by now. For one, the duo hasn't been given a chance to shine on the main roster, partly because of untimely injuries after their main roster debut. However, we also know that The Revival is not happy with how WWE treats tag-team wrestling and how less time tag wrestling gets on television. We all know by know that tag-team wrestling is better represented on SmackDown Live than on WWE's flagship show. After all, it was the SmackDown tag titles that made it to the main card of WrestleMania. If The Usos do move to RAW as I previously mentioned, The Revival is the ideal choice to replace them on the blue brand.